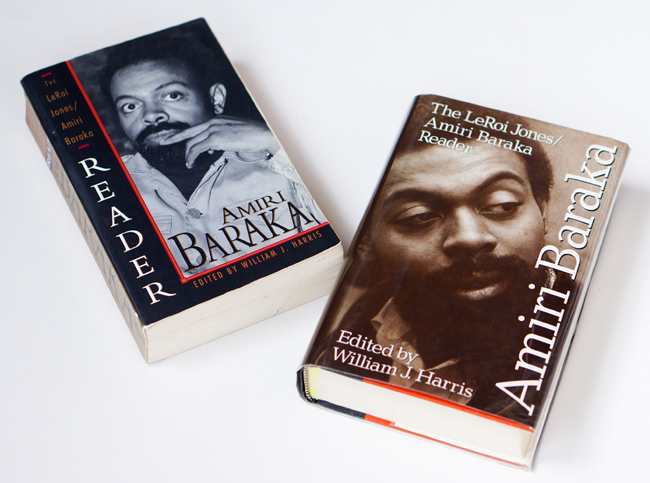 This past Thursday, we covered poems by Amiri Baraka in two of my classes. One of those classes is comprised of all first-year black women, and they initially acted confused when I revealed that Baraka was born Everett Leroy Jones and once known as LeRoi Jones. "What? Baraka wasn't the name he was born with?" one student asked. "Who has all those names?" another student asked. "What the...?" I said. "Not in this class! In any other class, people can be confused about Baraka having multiple names, but not in this one. Noooo one here can ask about people with multiple names." The entire class laughed out loud. Fully half our class goes by nicknames. There's Peanut, Ne-ne, Ty, Z, Ava, Tori, J. Green, and J.E.T. There's a student we call "Wadie," because it's a word from a song that her mother made up and sang to her when she was an infant. There's a student named "Lisa," and we always put "Lisa" in air quotes when we say "Lisa," because we're 99% sure that "Lisa" is just a name "Lisa" was given after "Lisa" saw some high-level illegal transactions, and now "Lisa" is her witness protection program name. We believe the same thing about our other classmate "Amanda." On Thursday, I overheard someone asking her, "No, really 'Amanda,' what's your real name?" On the first day, one student told another student that people call her "P. Nunn" as a short version of her name. The person she was talking to misheard, thinking she said "Peanut." Turns out that P. Nunn liked the nickname, so everyone called here began calling her "Peanut." "Baby Green" and "Baby G" are what we sometimes call J. Green, because her older sister, my former student is sometimes around, and of course, she has dibs on J. Green. There's Nikki and Kiya, and only a few of us know their government names. We have two Bianca's, and they sit next to each other, so both have requested that we call them something else to avoid confusion. So far, our names for them keep shifting. We'll settle in on something soon. There's a Lyric in the class, and we call her that because we all really like that as a government name, and there's a Lauryn, and we call her that because of how we feel about Lauryn Hill. Finally, we have a student named Aminah. Your name, I told her on the first day of class, makes me think of one of my favorite poets. I told the students to remind me to tell them about Baraka's Sylvia Robinson during our next class session.